What does “sustainable” development mean from an Arctic perspective? Can low-carbon technologies have negative impacts on traditional livelihoods? How can indigenous views be included in land-use planning? Which Arctic narratives are guiding us? 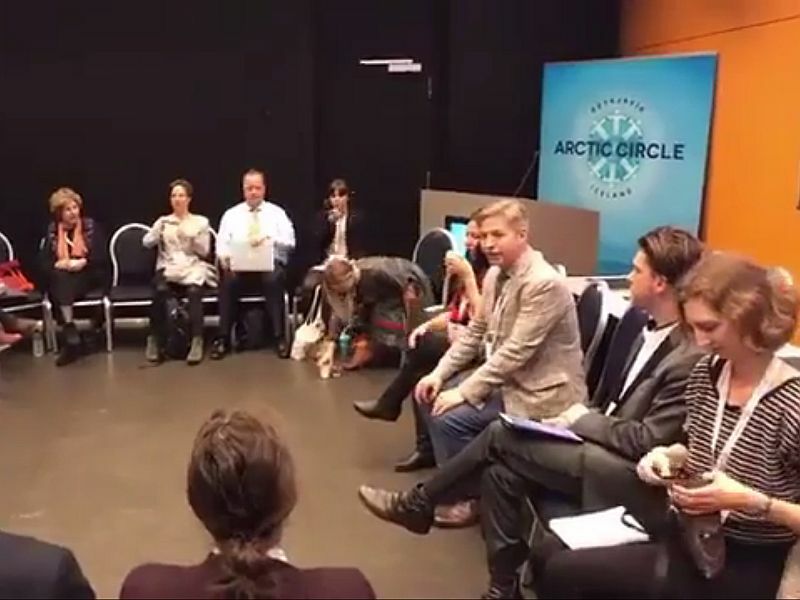 Ecologic Institute's Arctic Summer College, supported by the Konrad Adenauer Foundation, organized a side event on the contexts of sustainable development in the Arctic, welcoming over 50 participants in the first session slot of Saturday at the Arctic Circle Assembly on 20 October 2018. A recording of the side event is available online. on the representation and perception of the Arctic and its inhabitants in literature, poetry and photography (Brendan O'Donnell, Ecologic Institute US).